It's time for some new Thank You cards for my customers, so I decided to pull out my Merry Moments Designer Series Paper, which is a festive series in the Annual Catalogue, but you can see that it is a little more versatile than just a Christmas set. I used the sketch for the Pals Paper Arts Challenge for this week for the layout. I pulled images and a sentiment from various stamp sets as well as some lovely, glittery ribbon that I haven't yet used for these Quick and Easy thank you cards. 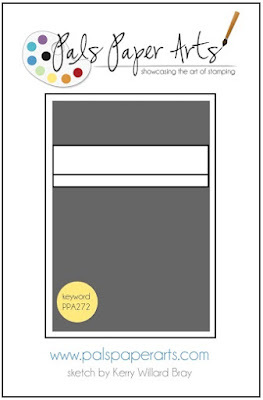 The colours here are the same as the palette for the Merry Moments DSP: Cherry Cobbler, Old Olive, Mossy Meadows, Whisper White, festive but fun for every day as well. One Big Meaning stamp set provided the great script for the sentiments, stamped here in Cherry Cobbler ink. Work of Art stamp set gave me the watercolour brush stroke in the background, and Jolly Christmas provided the star images, which I've stamped here in Crushed Curry ink. Notice the sparkly ribbon that you see at the top. This is a special set from the Holiday Catalogue called Gold & White 3/8" Glitter Ribbon - a little bling for your Christmas greeting cards. 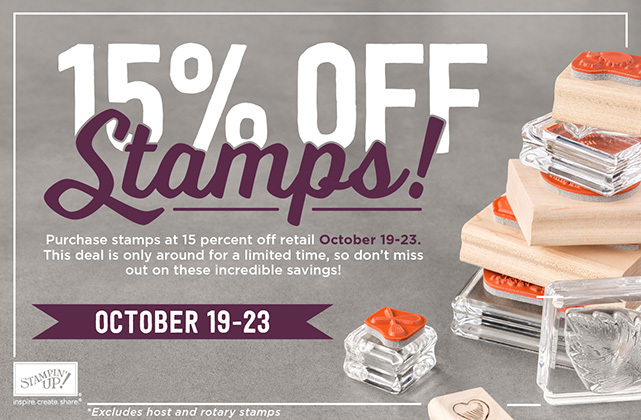 And, if you can stand more good news, from now until Friday night, you can save 15% on all stamp sets! Don't wait too long to get your order in, because you only have until Friday to take advantage of this! Is there a stamp set that you've been eyeing, but didn't want to spend the money! Now you can get it at a more affordable price! 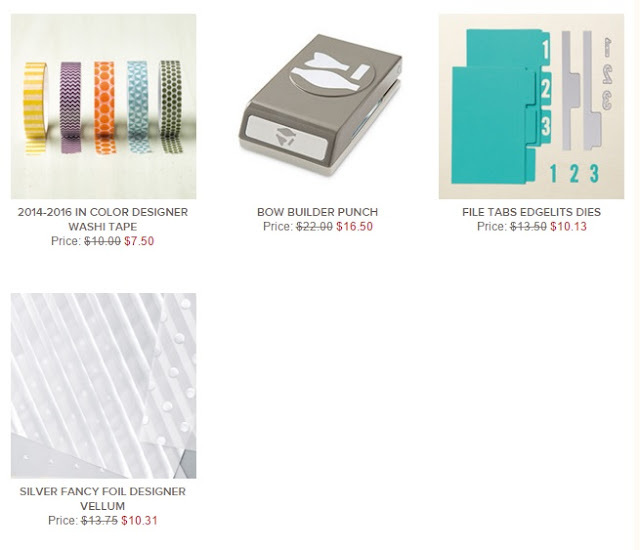 (Rotary stamps, Host sets, Clearance Rack, Kits and Bundles excluded.) You can email me or phone at 250-768-7379. You can also shop in the comfort of your own home, in your jammies at my On-Line Store.